Samsung has officially unveiled the Galaxy Note 7 at a press event, and also announced the availability dates for the handset. The all new Galaxy Note 7 will go up for pre-orders in Europe on August 16 as rumored before with the handset hitting retail shelves on September 2nd. In the UK, one of the retailers already has the product listed carrying a price tag of around £699 so it’s better for you to start saving your hard earned cash if you’re interested in picking up the Samsung Galaxy Note 7. Rumors suggest that customers in the US will also get an option to choose from either between a Gear VR or a 256GB microSD card. The deal is different in the United States where customers can choose from Gear Fit 2 or a microSD card slot. The handset will launch two weeks later in Europe compared to the United States, but it’s still a good sign. Last year, Samsung didn’t unveil the Galaxy Note 5 in Europe, and only introduced the Galaxy S6 Edge+. The handset was available from unofficial channels, but not through Samsung. 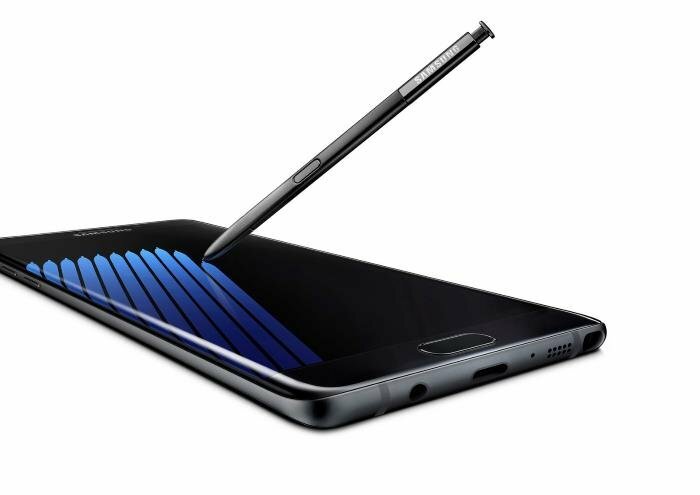 The Galaxy Note 5 did launch, but months after it launched in other markets.